The planet Mars was not meant to support human life. With an atmosphere that is 100 times thinner than that of Earth and an average temperature of minus 80 degrees Fahrenheit, the red planet is seemingly uninhabitable. But that’s not stopping the UAE. 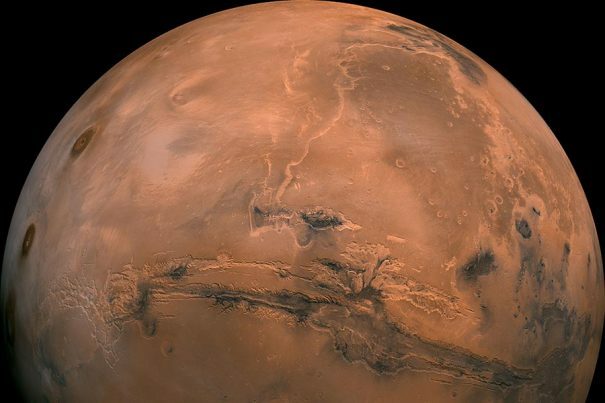 The United Arab Emirates has announced plans to colonize Mars by the year 2117. The plans were officially made public at the 5th World Government Summit in Dubai, where Sheikh Mohammed bin Rashed al-Maktoum, the Emir of Dubai and Vice President and Prime Minister of the UAE declaring that deep space exploration was one of the country’s top scientific endeavors. “Human ambitions have no limits, and whoever looks into the scientific breakthroughs in the current century believes that human abilities can realize the most important human dream,” said Sheikh Mohammed. But of course, the UAE gave themselves 100 years to achieve their goal for a reason. Naturally, an endeavor this large and ambitious has to be broken down into separate stages. According to the UAE, the first step is to assemble a team of individuals who can properly “facilitate the arrival of humans… in the next decades.” The Mars 2117 Project, as the UAE is calling it, also “aims to prepare an Emiratis scientists team and to develop an international scientific consortium to speed up the research project.” But while the UAE should be congratulated for their ambitious new endeavor, there are still several challenges they must be prepared to face along the way. To date, there have been six successful Mars landings, all of which have been unmanned. But sending a spacecraft 33.9 million miles away from earth with real living and breathing human beings inside of them is something quite different. The UAE will have to figure out how to minimize weight and use the least amount of fuel possible. Walter Engelund of NASA’s Langley Research Center detailed another potential problem having to do with orbiting the planet. (RELATED: Read about how NASA is launching a twin into space for research purposes). “For a human-scale mission, it is very likely that we will have a spacecraft that stays in orbit with food and supplies for the journey home,” he said, adding that the orbiting spacecraft would also act as a “safe haven in case something goes wrong on the surface.” To even enter Mar’s orbit is a challenge in and of itself, requiring a technique that has never been tried before. Of course, very few things in this world can be done without cold hard cash, which brings us to yet another challenge for the UAE – finding the funds to not only reach the red planet, but to establish a settlement as well. The technology, research, training, and the physical infrastructure itself would easily cost hundreds of billions of dollars, if not more. The UAE would need to get that kind of funding from somewhere. Sending human beings to mars and establishing a habitable human settlement there is extremely ambitious, but anything is possible. At the very least, the possibility of man one day walking around futuristic cities on the planet Mars is fun to think about. (RELATED: Unexplainable photos beg the questions – did human beings once inhabit Mars?) It is like something directly out of a science fiction book, but 100 years from now, what we once thought to be science fiction could very well be our reality.